Prepare to take a trip to Neverland this Christmas with the latest immersive production at Theatre Deli on Eyre Street. 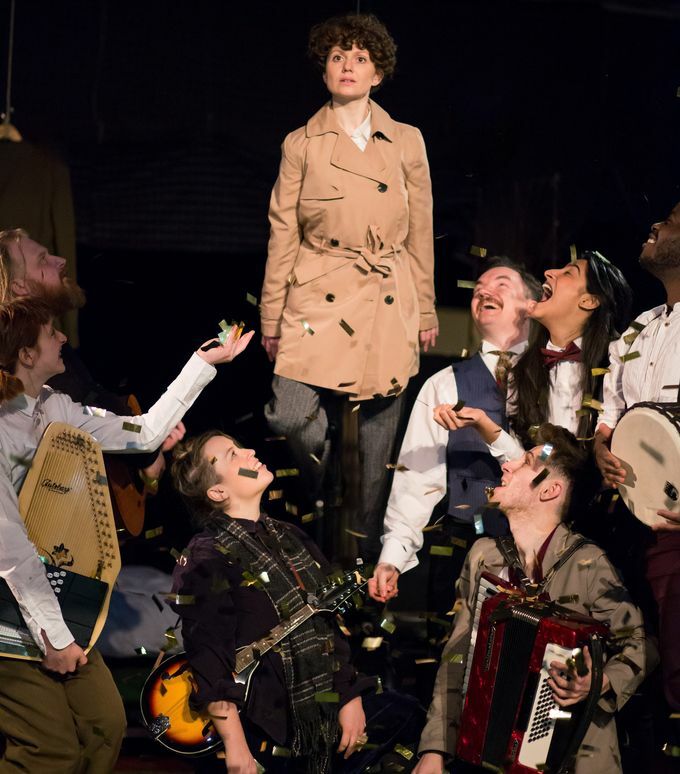 Produced by the Guild of Misrule, the same people that brought The Great Gatsby to Theatre Deli in 2016, Neverland takes inspiration from both Peter Pan and the life of the book’s author JM Barrie. Neverland promises to lead audiences through a dark and dangerous world of mermaids, rum and glittering pirates, into food fights, and absinthe bars, all to a soundtrack performed live by a gang of lost boys. With dress up encouraged, at first it’s hard to work out who’s in the show, and who’s in the audience. Yet it soon becomes clear that we are, in fact, all in this show, as we begin a game of bat and ball. With games finished, we hear the first song of the evening, and head into the world of Neverland. Theatre Deli’s new space at Eyre Street is in complete contrast to its old home on The Moor, the old gym is one big open space, split into sections for Neverland, where different groups are led by actors. We crawl through bunk beds, under drapes, and down an archway of foliage as we explore the lost boys’ world. At times the audience is split, and groups are taken away to experience a different scene before being brought back together. At one point, we are separated from another group, and led in ‘preparation for battle’ by the lost boys. Poised, the music was brought to a crescendo, a curtain dropped and we were suddenly facing the rest of the audience, armed with water balloons! The eight-strong cast do an incredible job leading the audience through their magical world, performing the soundtrack and telling their story. They switch effortlessly between triumphant, childlike songs to more emotional, melancholy numbers, and by the end, get the audience singing too. With inspiration coming from both Peter Pan and the life of JM Barrie, if you’re not up to date on the life of the author, a quick pre-show Google will help some parts of the show make more sense. But even going in blind, the world of Neverland is a wonderful place to be a little bit lost. Neverland is showing at Theatre Deli until 31 December. Heading to the show? Check out Alive After 5’s food and drink section for pre-theatre dining inspiration.